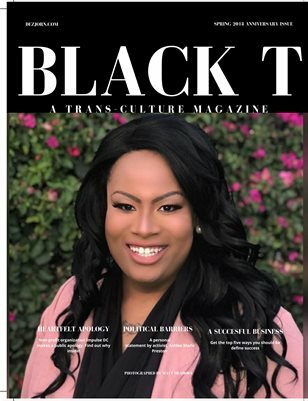 Black T Magazine™ is the first African American trans-culture magazine. It provides business, health/fitness, sports, fashion, music and general TPOC experience. Due to unforeseen circumstances the BTM issue’s were not in print but now we’re back! Printing of Black T Magazine™ without written permission from Dezjorn International LLC is strictly prohibited! All copyrights reserved. Black T Magazine™ is a registered trademark of Dezjorn International LLC. Digital issues ONLY $2.00 for quarter release plus great low prices for special editions! 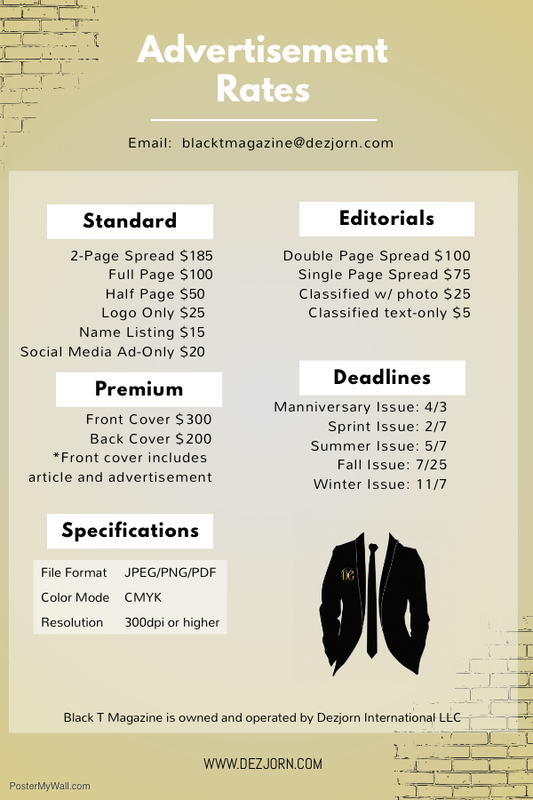 To submit an article or for a chance to be featured please email your submission to blacktmag@gmail.com! Black T Magazine is the world’s first black trans-culture magazine.